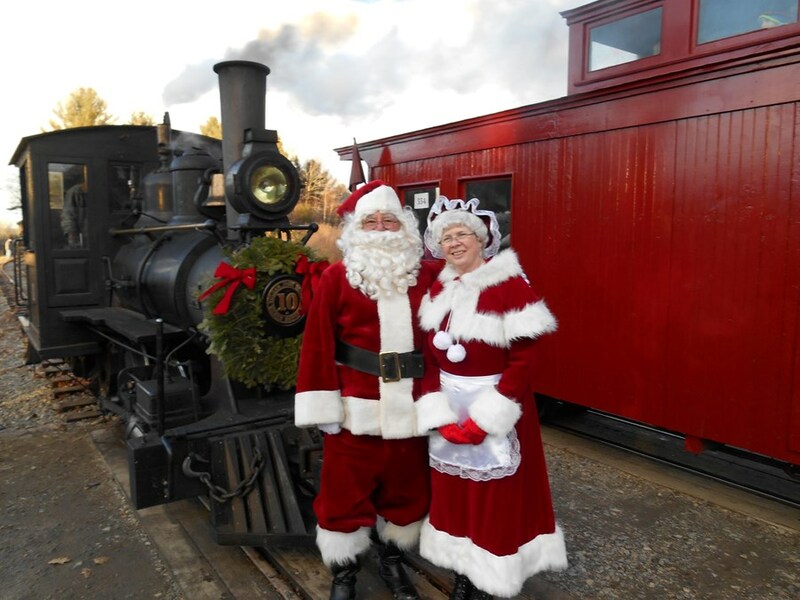 Help us celebrate the holidays at the Wiscasset, Waterville and Farmington Railway December 15th! Take our trains from Sheepscot Station (97 Cross Road, Alna) where you can enjoy hot chocolate, cider, snacks and exhibits before boarding the train. At Alna Center Station warm yourself around the bonfire and enjoy a horse-drawn sleigh or wagon ride before visiting with our special visitors from the North Pole! Join your fellow passengers in carol singing on the train! UPDATE: We apologize, but all advance tickets for Victorian Christmas have now been reserved. Victorian Christmas will be held Saturday, December 15th unless unsafe weather conditions require rescheduling the event for the following Saturday, December 22nd. If the event is rescheduled, announcements will be made via social media and news outlets. Ticket reservations for the 15th will be honored for the same time on December 22nd. Parts of Victorian Christmas are outdoors and unheated. Please dress accordingly. Victorian Christmas is our opportunity to thank our Sheepscot Valley community for your generous support throughout the year. Thank you, and we wish you a joyous holiday season! Previous PostOur Fall Work Weekend October 5th through 8th!Next PostOnline Reservations Now Full for Victorian Christmas December 15th.